A great way to commemorate your first big race. The perfect home accent gift to give your house the spice it was needing! Decorate one room or your entire home in buoyant running style with our exclusive home accents for runners. Gone For a Run knows that a runner's love for their chosen sport doesn't end when they arrive back at their front door and untie their sneakers. Running home décor captures this spirit as a part of everyday life and activities. Give your bedroom, dining room, living room or all of the above a personalized touch by adorning them with inspirational or whimsical designs. 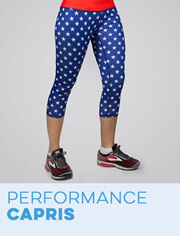 We have been celebrating the magic of running since 2010 with products and accessories that capture the joy running delivers to millions of Americans. From functional running décor to wall artwork, we have hundreds of options to satisfy your tastes. Our runner's room accents include cozy Sherpa fleece blankets and throw pillows for your couch along with bookends for displaying your favorite literature. Remember your greatest race moments with customizable running picture frames and bib frames or wipe away perspiration from a workout with a runner's workout towel. Our huge running drinkware collection includes coffee mugs, beer and wine glasses, water bottles and travel tumblers so you can enjoy the right beverage for all occasions. And our engraved bamboo cutting boards are so gorgeous you'll be tempted to place them on permanent display. We pride ourselves on making décor with creative themes that encapsulate the spirit and personality of runners. Our home accents feature popular race distances, running locations, humorous messages and slogans as part of their designs to motivate and commemorate. Home decorations such as metal wall art and printed beach towels are an excellent gift idea for runners as a housewarming present or post-race surprise. For people who always have running on the mind, Gone For a Run is here with home décor that brings life to those thoughts. All qualifying orders ship free anywhere in the U.S.! Add some running style and spirit to any home with our exclusive collections of running home accents that are ideal for any room of a runner’s home, from the kitchen and dining room to the living room and bedroom. 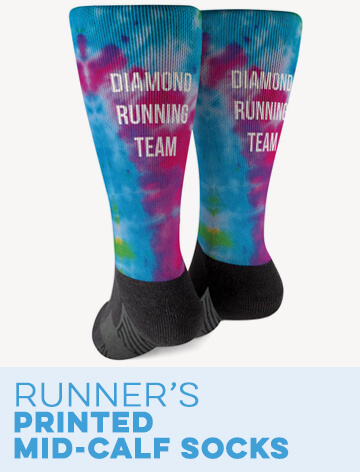 With everything from cozy blankets and pillowcases with original running designs - including inspirational, fun, and location-based artwork and text, to frames custom printed with running designs and personalization for everything from photographs to race bibs, medals, and T-Shirts. We also have a large selection of both large and small removable wall art, and decorative signs, and throw pillows - plus engraved runner’s LED lamps and drinkware for use in the home and on-the-go with race- and distance-specific design. 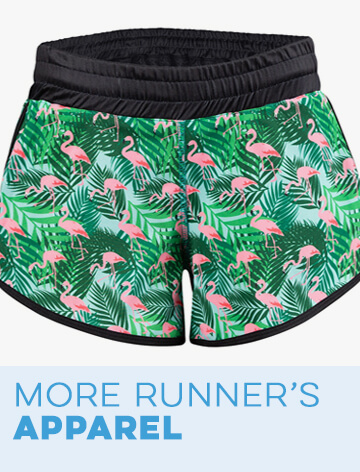 With all this and so much more, you’ll find the ideal running decor to add to your own home, or a stand-out, one-of-a-kind running gift for a special runner in your life. A great gift idea, our custom picture frames for runners are custom printed or engraved with unique running designs and the text of your choice, as well as artwork such as a replication of a race bib to surround a favorite photo, and made from top-quality finished wood or metal. We even have exclusive frames designed to hold race bibs, to showcase a favorite bib or celebrate a special race, as well as dual frames that can accommodate both a runner’s race bib and a medal, side by side, for a special display that’s ideal for home or the office - and an excellent surprise for any runner, and even a way to hang a favorite race shirt and medal for an eye-catching display piece that’s sure to be a conversation starter no matter where it hangs. When it comes to displaying favorite running moments and achievements, we more than have you covered with a wide variety of options that will go perfectly with any home’s color schemes and decor. 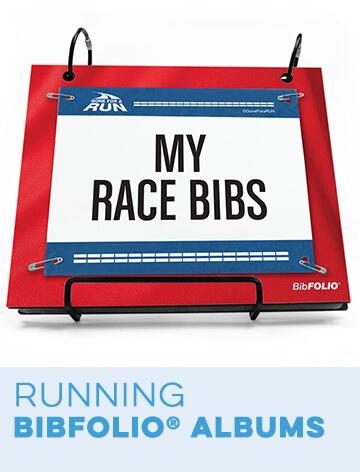 So many runners never display their running bibs… and we think that’s a shame. So we did something about it with our exclusive race bib frames with laser engraved text relevant to the bib you plan to display - including “my first marathon” bib frames, town- and race-specific bibs frames, and fully personalizable bib frames with room for your own text - or to leave completely blank and let that race bib speak for itself. For a great running gift - or a gift for a triathlete, our combined race bib and medal frames are sophisticated ways to either frame a special medal on its own, a medal and bib - or a medal and photo side by side - both with custom engraved brass plates with room for three lines of text, such a the race location, date, time, or a personal message. These elegant frames are a refined and striking way to display a particularly meaningful medal in an artistic and upscale way. Runners and triathletes will be proud to have a display frame like this in any room of their homes, or in their office. Runners and triathletes will love finally having creative ways to showcase their favorite and most meaningful bibs and medals in these elegant race bib frames that are excellent post-race gifts to celebrate a major accomplishment or commemorate a major race in a special, personalized frame that’s a striking display piece. No matter the occasion, we have a custom printed desk frame to display a favorite running photo - and they make great running gifts for holidays such as Mother’s Day and Father’s Day - as well as other holidays, and almost all of the original running can be personalized with the text of your choice, for a special touch and a frame that is sure to stand out whether displayed at home or the office. Surprise a runner with a motivational frame, with quotes and mantras anyone who runs can relate to, as well as fun and playful designs, available in both horizontal and vertical styles to look great in any space. These custom printed frames have designs available in a selection of colors and have an attractive, glossy finish for a great-looking running picture frame that is sure to be a favorite for any runner - and is a great way to commemorate a race, or another special occasion. Available in a variety of styles including black and silver metal running picture frames, as well as unique bamboo frames for runners - most of which can be engraved with the custom text of your choice for the perfect running picture frame that is an ideal running keepsake to hold and display a cherished photograph. With custom frames for moms and dads, as well as triathlon coaches, track & field coaches, and cross country coaches and teams - in addition to both motivational and fun designs - we have a running picture frame that’s ideal for every runner’s and triathlete’s personality and style. The ideal warm and hot weather accessory, our lightweight microfiber polyester beach towels have original running designs - including state-exclusive artwork to show pride in both home as well as the sport, when at the pool, beach, or engaging in other summer activities. 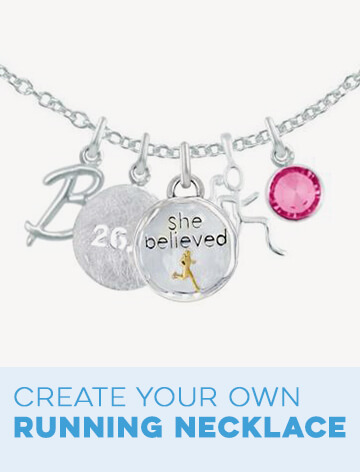 Selected styles can even be personalized with a name or a monogram, and there is an abundance of race- and city-specific designs for marathoners, half marathoners, or people who enjoy running without participating in races. We have a large selection of beach towels for cross country runners, as well as track & field runners and athletes that are sure to be a favorite summer accessory. All of our running towels are super lightweight and designed to dry quickly - and are great to take along when visiting friends, taking in a concert or sporting event, or just relaxing, as they are amply sized and the perfect barrier between skin and surfaces that are hot to the touch - and an ideal way to show that runner pride while out and about whenever the weather is warm. We have a wide variety of 12” X 18” microfiber workout towels with original running designs, many of which can be customized with your own text - or even your own image, such as a duplication of a race bib, and have a conveniently attached carabiner so the it’s easy to always have a towel close at hand. 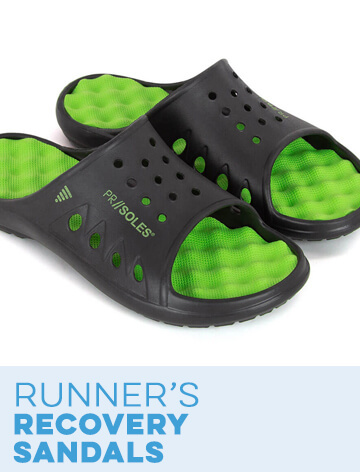 Perfect for everyday runs and races, as well as the gym or on the golf course - and of course, a practical, yet fun, gift for any runner. Running is a lifestyle - and runners don’t stop thinking about running or being runners when they remove their running shoes or get home after a race. That’s why we have an extensive selection of running home decor for every room of the house - perfect for any runner’s personal taste and style in home decor, and available in myriad colors with custom designs and personalization for touching, “outside the box” running gifts that are appropriate for pretty much any occasion. Home is where your heart is… as well as where you can kick up your feet and relax in comfort and style. Our original decorative pillows with running designs are available in two sizes and are the perfect place to lie one’s head after a long run - or a long day, or to cuddle up with to watch TV or read a book. Many designs can be personalized for a special touch and an ideal running gift for a housewarming party, to celebrate a holiday, or even after the completion of a big race. Our super soft and cozy running sherpa fleece blankets are a large 40”X 60” with bold, custom printed running designs that include motivational and inspirational, heartfelt and touching, and playful and fun for the perfect throw blanket for any runner’s personality and style - and selected styles can be personalized for a custom running gift that is sure to be a favorite. Why not add some running style to the bedroom, with our original running pillowcases that features unique designs for runners (and yes, that includes cross country runners) and triathletes, perfect for any bedroom’s decor and a great way to get inspired before a big race or a run as well as the perfect pillowcase to rest your head on after running a marathon, half marathon, or other race. Super soft and comfortable, what runner wouldn’t love a great-looking, running-themed pillowcase (or two… or three…) for their bedroom? The perfect way to add a subtle touch of running pride to any room of a home, as well as to add some of the running lifestyle to an office, our running bookends are made from solid black steel and tell a mini running story of their own - while keeping books or important files in order. Much like our decorative carved Wood Words, which can be displayed alone or in pairs and groups, we have designs for marathon and half marathon runners, as well as inspiring designs for the perfect touch for a bookshelf, mantle, or desk - and a unique gift for a runner. These stylish pieces are sophisticated and charming, for a great way to add a subtle amount of running aesthetic to any room. It’s all about a runner’s unique style and tastes when it comes to art, so we offer a variety of styles of running-themed art that is perfect for any room. The bold and colorful aluminum running wall art and room signs are a bit of everything: they celebrate a love for the run, whether they are inspirational, fun, playful, or commemorative in nature. 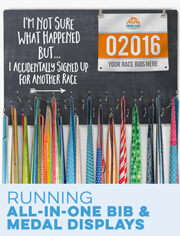 Selected signs can be personalized with special race dates and times, as well as names or personal messages for a unique running gift that will be an enduring favorite. Our wooden decorative signs have equally diverse running messages and designs, and are suspended from a ribbon for a more subtle look. Our removable runner’s wall decals are available in different shapes in order to make a bold statement in a larger space, or to add a more subtle touch of running pride to a smaller space - and they can also be applied to surfaces such as desks, doors, windows, and other smooth, flat surfaces to create an entire running-themed room or office, or to add a stylish running accent to a wall. Our custom engraved acrylic running lamps are carefully designed to have a 3D effect and switch between seven LED color settings, for the perfect mood lighting for any occasion, including when having guests for a holiday party, or just because a red light, or a blue light, seems appealing at any given time. The original running designs are highly-detailed - and features some of our most popular inspirational running artwork as well as distance- and city- specific art - and of course, fun designs for cross country runners as well as track & field athletes, including the always popular winged foot design, the CC with arrows cross country icon, and both bold and subtle running designs. 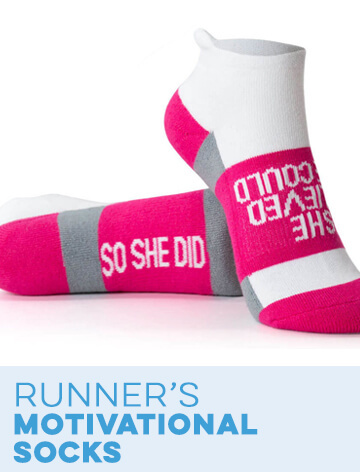 These are a great addition to any room of a home and are sure to be a favorite gift for a runner, no matter the occasion. Whether you run for beer, or run for wine, or prefer your coffee or tea from a running-themed porcelain mug… or are in need of a sports bottle (what runner isn’t?) or a travel mug or tumbler, we have them all - and in a large selection of styles and designs, at that. And of course, we have multiple styles of coasters, many of which can be personalized, as well as engraved runner’s cutting boards and even cookie cutters. There’s no reason a kitchen shouldn’t have some running style, and that’s why we carefully custom designed all these running drinkware and running kitchenware products that are great gifts for runners, though we are firm believers in treating yourself to something nice. Enjoy a cold beer after a long run or when relaxing with your running buddies with one of our custom engraved 20 oz. beer pint glasses or 15 oz. beer mugs (they’re perfect if frozen before pouring that cold beer in, especially on a hot summer day - your runner friends will love you for it.) With everything from marathon to half marathon designs, as well as state-specific, general running, and fun designs, these running beer glasses and beer mugs are sure to be a go-to choice for a beer and are an excellent addition to a home bar. These double-sided porcelain mugs are custom printed with original running designs - and selected ones can be personalized - for the perfect way for a runner to start their day and wake up with a cup of coffee or unwind with a nice, relaxing cup of tea at the end of the day. 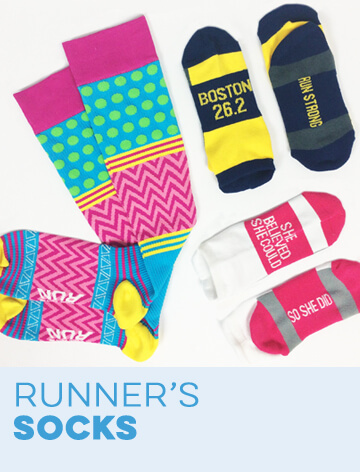 Naturally, we have distance- and race-specific designs, as well as ones specifically for runner moms and runner dads that are perfect for Mother’s Day and Father’s Day. These charming running porcelain mugs are sure to be a favorite and are perfect for use at home or the office. Choose your favorite style as well as your design for the perfect water bottle for a runner. An important piece of running gear, runners won’t want to head out without a water bottle, as hydration is not only important, it’s essential. All of our water bottles are stainless steel and designed with a runner’s convenience in mind - so they are easy to sip from while running and on-the-go, and are sure to be an accessory that’s ever-present for daily runs as well as during races. Choose from a selection of styles, sizes, and materials for the ideal way to keep hot drinks hot and cold drinks cold when traveling, commuting, or at work, school - or just away from home for the day. With original running designs engraved on the mugs and tumblers, it is easy to customize selected designs for a unique, yet functional, running gift that is sure to get a lot of use. Add some running accents to any room of your home, and protect your furniture from stains, rings, and condensation marks with our running coasters. Runners will love our custom BIbCOASTERS which are reproductions of an actual runner’s race bib (just a scanned image of the bib - no need to sacrifice the bib to make these! ), either split across a set of four coasters or custom printed on a single coaster for a one-of-a-kind running gift from the heart that’s a definite conversation piece. Our glossy coasters are amusing and fun - perfect for any runner, and our natural stone running coasters are available in sets of four or as individual coasters, and have a great natural stone look, with unique designs that will appeal to any runner’s interests and running style, with inspirational, patriotic, general running, and personalized designs - and many more. Runners who love to cook and bake (and how else do we enjoy all that healthy food?) will adore our gorgeous engraved bamboo cutting boards in various shapes and sizes with original running designs that are not only functional cutting boards, but elegant serving trays for hors d'oeuvres, cheese, and fruit when you have visitors or as a table centerpiece for a meal. These unique running cutting boards are an amazing housewarming gift for any runner - and sure to be a favorite. Our set of four playful running cookie cutters are sure to be a favorite for anyone who bakes, and can be used for regular cooking and crafts as well. There’s virtually no limit to the ways you can add some running style to a home with the vast array of personalized and customized products here at GoneForaRun.comOpens a new window - though we’re always happy to work with our customers (without you, we’re nothing!) 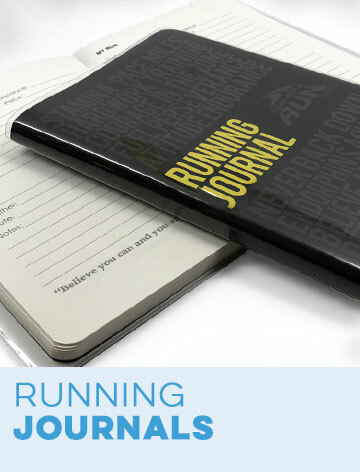 to take suggestions and help you create the perfect running home decor for either yourself or a favorite runner that you’ll be proud to show off or give as a running gift, no matter the occasion.